Looks like James Olsen will have a member of his family to lean on next season, with word that the CW has signed Azie Tesfai (Jane the Virgin) as a series regular beginning with the fifth season of Supergirl. Tesfai’s character Kelly debuts during this week’s episode, “O Brother, Where Art Thou?” – which also introduces Jon Cryer‘s Lex Luthor into the fold. Supergirl — “O Brother, Where Art Thou?” — Image Number: SPG415a_0155b.jpg — Pictured: Azie Tesfai as Kelly Olsen — Photo: Sergei Bachlakov/The CW — ÃÂ© 2019 The CW Network, LLC. All Rights Reserved. Olsen’s sister Kelly is an intelligent and insightful woman who spent time in the military in order to pay for medical school. She’s recently discharged from the military and is currently finishing her training as a psychiatrist. Supergirl s04e15 “O Brother, Where Art Thou?”: JON CRYER GUEST STARS AS ICONIC DC COMICS’ VILLAIN LEX LUTHOR –Secretly furloughed from prison due to failing health, Lex Luthor (guest star Jon Cryer) visits his sister, Lena (Katie McGrath), to seek her help finding a cure. Savvy as ever, Lena is suspicious of Lex’s motives but when she’s faced with a life and death situation, she must decide how she truly feels about her brother. Meanwhile, Supergirl (Melissa Benoist) and J’onn (David Harewood) face off against Manchester Black (guest star David Ajala). 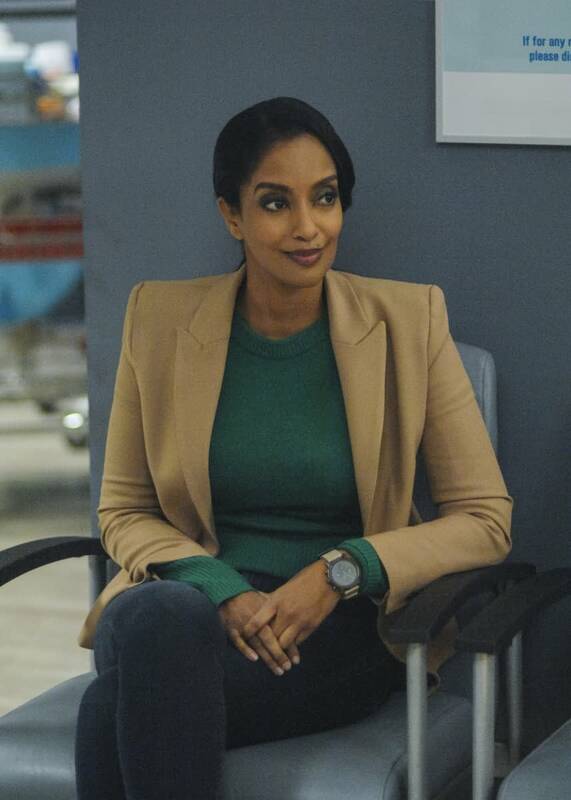 James’ sister Kelly (guest star Azie Tesfai) comes to town. Tawnia Mckiernan directed the episode written by Derek Simon & Nicki Holcomb. The CW’s Supergirl stars Melissa Benoist as Kara Danvers/Supergirl, Chyler Leigh as Alex Danvers, Mehcad Brooks as James Olsen/Guardian, David Harewood as Hank Henshaw/J’onn J’onzz, Katie McGrath as Lena Luthor, Jesse Rath as Brainiac-5, Sam Witwer as Ben Lockwood/Agent Liberty, Nicole Maines as Nia Nal/Dreamer, and April Parker Jones as Colonel Lauren Haley.